Wainapanapa is a unique state park on Maui’s northeast windward coast just before the now famous fishing village of Hana. 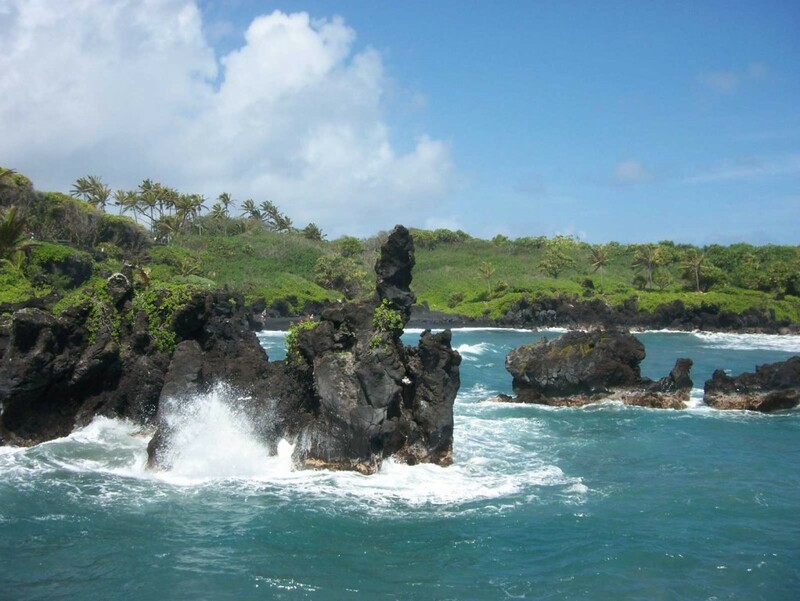 The park offers pleasant tent and RV camping along with strongly contrasting blue, green, black views from the ocean, trees, and lava rock. There are a couple of hikes ranging from easy to rough. Wainapanapa also has lava tube, hidden waters, and vibrant history.